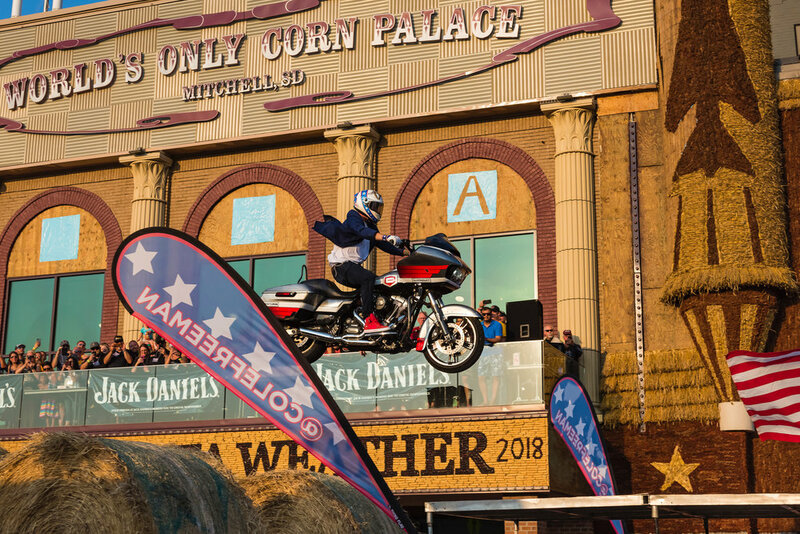 Cole Freeman will set up his record holding ramps and with his Harley-Davidson motorcycle Cole will jump ramp to ramp just like the late American Daredevil Evel Knievel. Using cheese wedge style ramps, no speedometer and no front brakes he will reach speeds up to seventy miles per hour as he contacts his take off ramp. As Coles Harley-Davidson Screams through the air you will hear your crowd shouting in excitement not knowing if he will land safely or come to a crash halt. 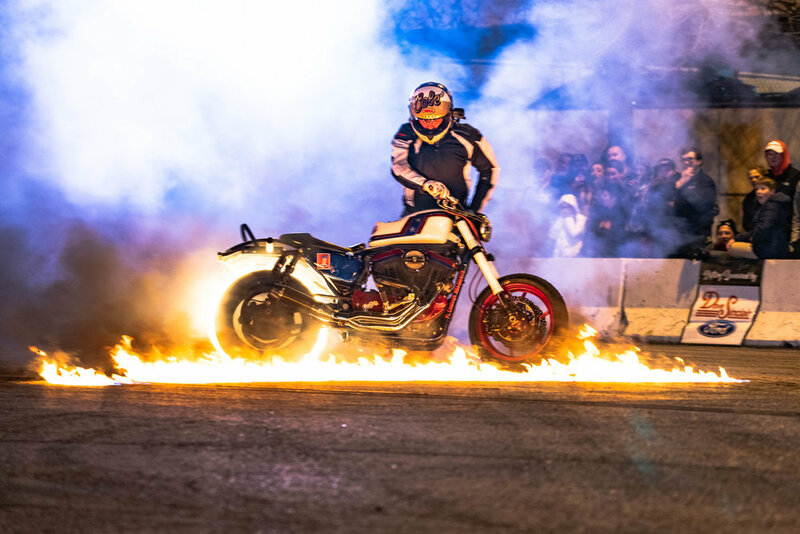 Cole Freeman and The ILL Conduct Thrill Show will perform death defying motor cycle stunts on their Harley-Davidson motorcycles as they pump up your crowd giving them high fives while in wheelies, fist bumps while surfing the motorcycle right before they light fires and shred their tires. Hear their bikes roar as they bounce their V-Twins off of the rev limiters and disappear into a cloud of tire smoke!